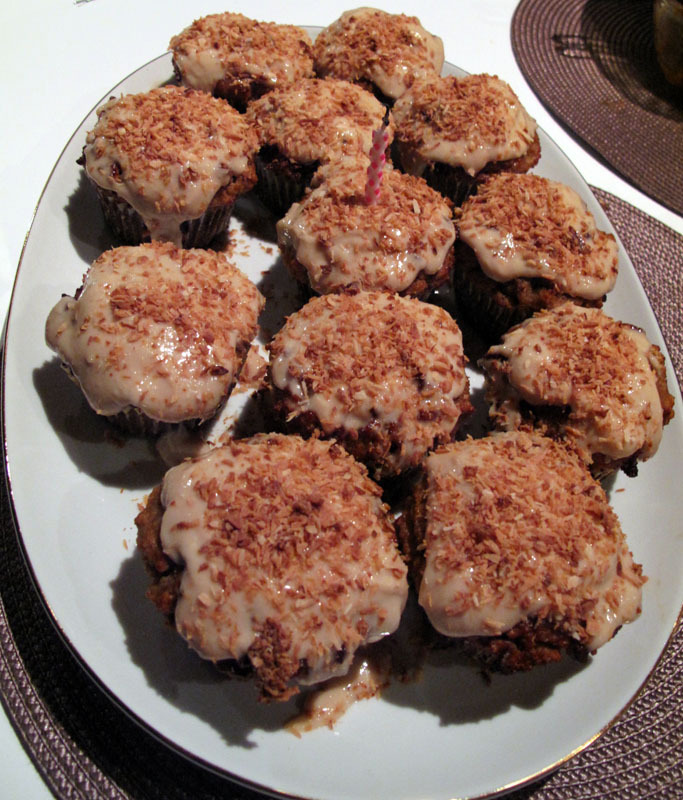 mostly-primal birthday girls says “best cupcakes ever” and the icing was beyond delish! I was waiting for you to write that! This one definitely needed Primal B-day Girl’s testimonial. Oh my gosh these are so good! We went up to a maple syrup farm last weekend and bought handmade maple butter. I iced it with that and they were delicious! Thanks cpg! Maple butter! Mmmmmmmm…that sounds amazing! i cant wait to make these..
Is 1/2 cup really enough flour? I want to make these, but thought I had better check first! Thanks. @Barb – Yes…a little goes a long way with this stuff. Start with 1/2 a cup and if you feel the batter is too watery, add a bit more. But if you use too much i can get really dense and dry. I was woundering for the icing could you use almond butter instead ? I cant seem to find macadamia nut butter any where.